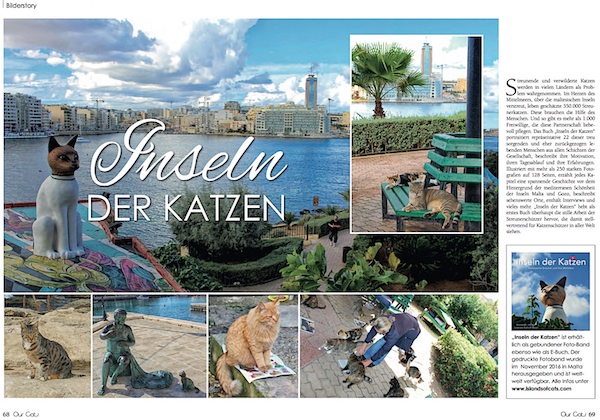 Islands of Cats: We are featured in leading German cat magazine "Our Cats"
We are featured in leading German cat magazine "Our Cats"
"Islands of Cats" has been featured in one of Germany's leading cat magazines, "Our Cats", edition 2/17 and published in print and online on 17 January 2017. 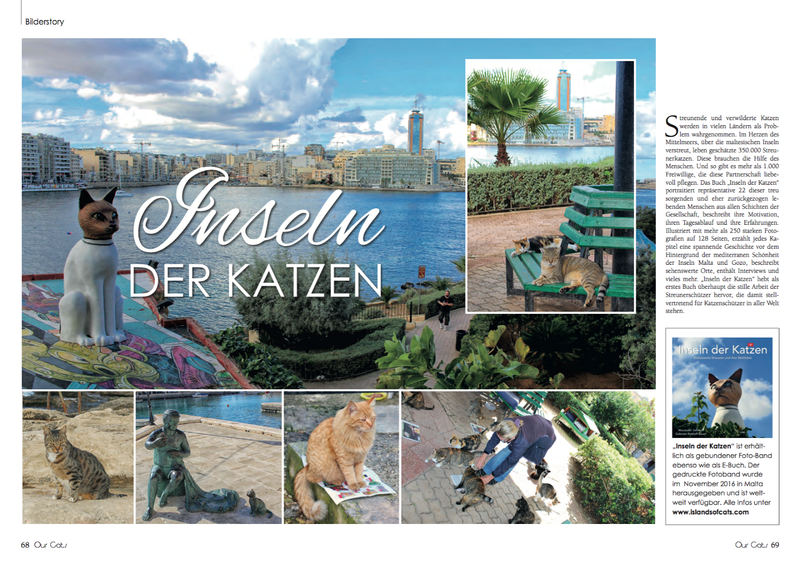 This 2-page article (»png, »pdf) presents a short introduction as well as photographic impressions from the German version of our photostory-book "Islands of Cats". 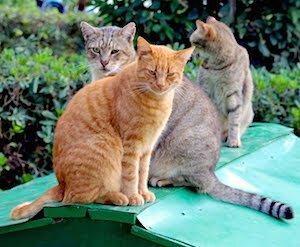 We would like to express our appreciation to Publisher Verlag Minerva in Mönchengladbach, Germany, and we do hope that this feature will gain a lot of interest for the valuable work of the stray cat carers in Malta and Gozo. Grazzi ħafna ! Thank you very much !